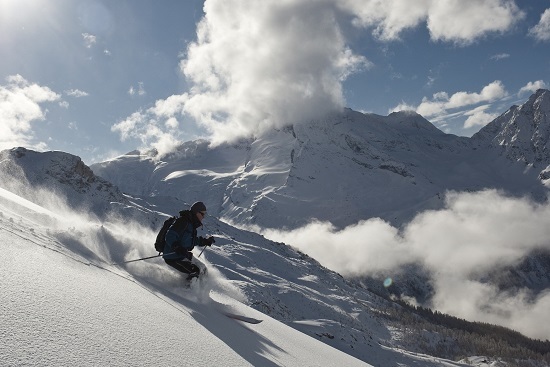 The Tarentaise valley is famous for its snow sure winter resorts. 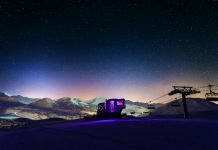 It’s home to some of the skiing world’s biggest names – Val d’Isère, Tignes, Les Arcs, La Plagne and La Rosière, with its link to the Italian resort of La Thuile. But tucked away in the middle of all these big resorts is a hidden gem. 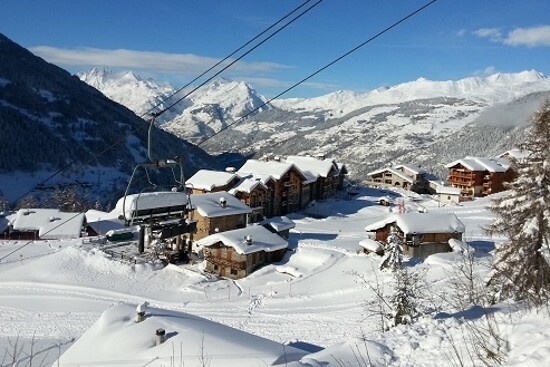 Often referred to as the best kept secret in the French Alps and ‘the jewel in the crown of the Tarentaise’, Sainte Foy Tarentaise is where the local ski instructors choose to ski on their day off. Although it is smaller than its better known neighbours, it offers plenty of terrain for all ability levels and disciplines. 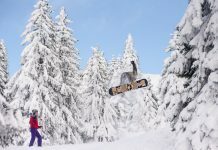 It has built up a cult following amongst off-piste skiers, boarders and telemarkers who revel in the extensive powder fields where it’s still possible to make fresh tracks days after a snowfall. 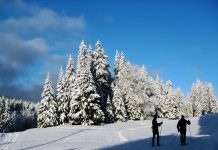 It is equally popular with families and beginners as the wide, sunny, quiet pistes are ideal for those just getting acquainted with the joys of skiing or boarding. Non-skiers will find plenty to enjoy too. There are well-marked trails for snowshoeing, cross-country skiing or simply hiking which offer breath-taking views of the surrounding mountains. One of the best trails takes you to the picturesque, tranquil summer farming hamlet of Le Monal where you can picnic gazing at the glaciers of Mont Pourri across the valley. 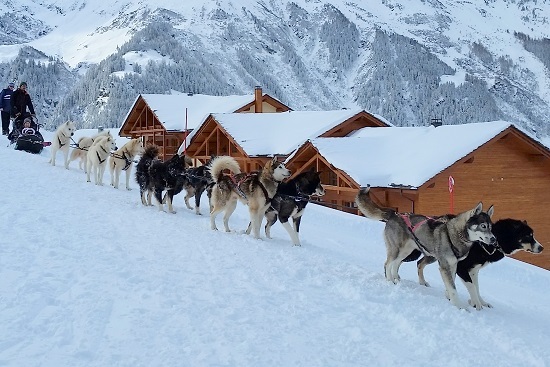 You could also try your hand at dog-sledding with your own sled pulled by a team of huskies. The less active can wile away the day soaking up the sun with a glass of wine or a beer on one of the mountain restaurant terraces, or be pampered at one of the two spas at Sainte Foy. Sainte Foy certainly lives up to the old adage that the best things come in small packages. 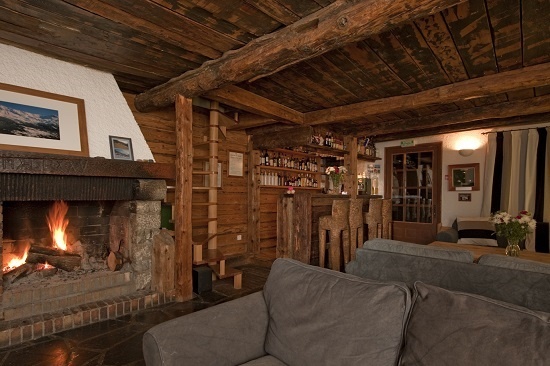 Sue and Andy Mac discovered Sainte Foy when they were looking for an escape from the rat race over 20 years ago. They stumbled across the recently opened resort whilst searching for a property to renovate and run as a boutique catered chalet-hotel. When they came across the run-down, neglected Auberge sur la Montagne in the spring of 1995, it was love at first sight. Six months of hard work later, the Auberge opened its doors for the winter season of 1995-1996. Sue and Andy have been running it with the same love, care and attention to detail ever since. 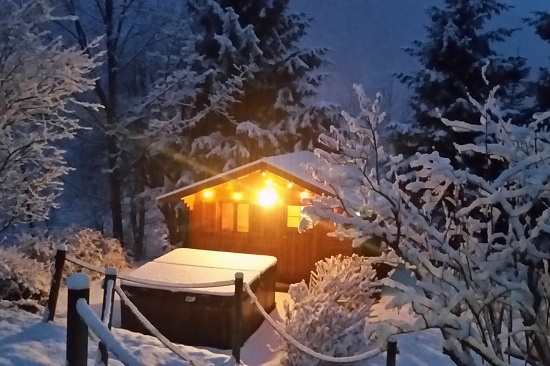 As the resort grew, so did their business, as many of their clients who had also fallen in love with Sainte Foy bought holiday properties in the blossoming resort and wanted someone to manage them. And so, a few years after opening the Auberge sur la Montagne, its sister company Chalets sur la Montagne was born. Now with more than 15 holiday properties on offer, from the cute and cosy Petit Loup just for two, in the luxurious Frontline Collection, to the spacious Great Escape sleeping 14, you’re sure to find the perfect property for your winter sports holiday. 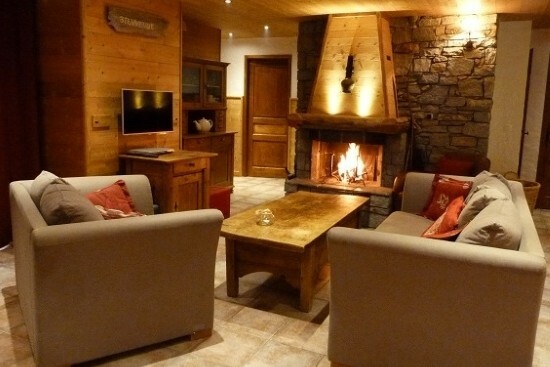 Sue and Andy recently expanded their Alpine empire still further, taking on several properties in the luxury Belvedere development in the picturesque village of Tignes Les Brevieres, which combines the charm of a traditional Alpine village with fast lift access into the Espace Killy. 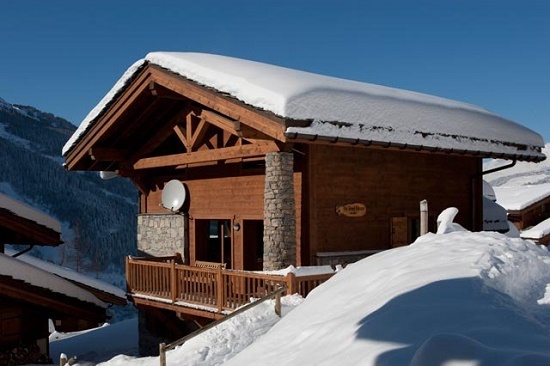 The 6-bedroom luxury catered chalet and three-bedroom self-catered apartments are proving to be a popular addition to Sue and Andy’s portfolio.